This special kit combines everything you need to refresh your headset comfort and performance in a simple convenient package. 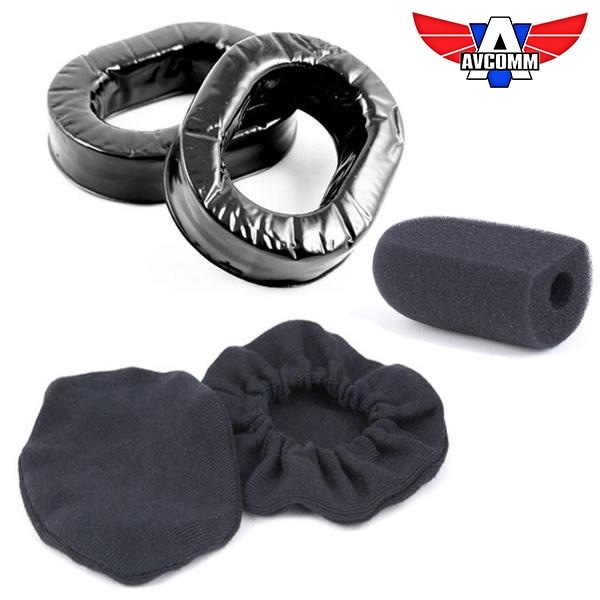 (1 pair) Gel Ear Seals: Avcomm gel ear seals conform better and block out noise for increased Noise Reduction. (1) High Wind Mic Muff: Larger foam mass provides improved audio clarity in high-wind noise environments. (1 pair) Cloth Ear Covers: Cool cotton cloth ear covers cut the heat by absorbing the perspiration. Easy fit ear covers have an elastic band for quick installation.